With the rise of the electric car industry humming along merrily just beyond the horizon, that love has grown deeper. You may have devotedly rebuilt your antique auto from the ground up, or even bought it fully restored – it doesn’t matter. It’s a showpiece. It’s your passion. If you’re a classic car collector, you’re part of a club – people who appreciate history, design and good engines. You regard your car as a work of art. However, owning a classic car comes at a hefty price. Not just buying them but to maintain them. Parts are often expensive and many can only be sourced overseas – and chances are you’ll have to replace them at some point… Because your car is, well, old. So, how do you protect it? For all these reasons and more, these cars often have unique insurance considerations. What Makes Your Car A Classic? People often treat their classic car better than they would their own family. Generally, one could define a car as ‘classic’ when it is more than 20 years old and doesn’t travel more than 10 000 kilometres per year. This, however, has long remained a burning question among car enthusiasts. A ‘veteran’ car is considered to be one built before World War I and a ‘vintage’ car built before 1930. ‘Post-vintage’ is a classification used for cars built between 1930 and the end of World War II. There’s an air of indecision surrounding what cars built after this period are considered to be. Some consider cars made in the 1950’s as ‘classic’, whilst others believe them to be from the 1980’s. Modern classics, however, are generally defined as cars aged between 15 and 25 years old. This includes that lovely 69’ VW Beetle, which I once managed to wheelie through an old lady’s vegetable garden. Either way, driving a classic car even short distances on the road without auto insurance is incredibly risky. 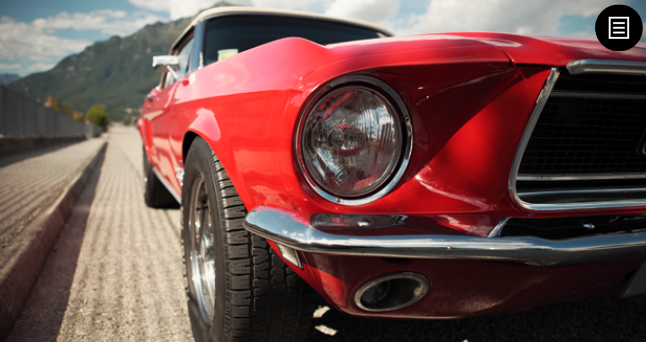 Many owners of classic cars somehow manage put them onto their regular insurance policies, provided they have actual seatbelts, but this isn’t always a good idea. Ordinary insurance is for ordinary cars. The book value of an ordinary car goes down every year and so does the total amount the insurance company will pay out if you.